7 pm Tuesday 26th March "BUSTING THE MYTHS " Information everyone needs to know. On this site, Dr Gerald, an experienced Physician and Cardiologist looks at the treatment options available for most diseases and includes both current conventional medical advice and complementary therapies - allowing people to make up their own minds. 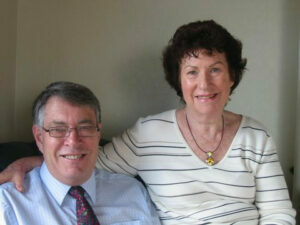 With his wife (Dr Monica), Dr Gerald has practised medicine in Public Hospitals and Private Consulting in New Zealand for over 40 years.They have together published a number of books on Complementary Medicine, Heart Disease, Nutritional Therapy, and Cancer; and have been asked to lecture on these topics around the world. Now they are providing their advice on line to enable people to address their own health issues with more expertise and accuracy than dredging through the web. The site is also written for medical professionals who have had little opportunity to research and understand many of the complementary therapies which can really make a difference to health. The information on the treatment and management of most of todays diseases given on the right of this page is our interpretation of the best information we can find. It will be regularly updated when newer therapies or advances are made, and come from our own clinical experience, extensive reading and the 'Medical hospital treatment bible" - 'Uptodate'. However we must stress that this information is only gived as advice, and patients should discuss any recommendations or treatments with their own health professional, and not attempt to make any changes by themselves purely based on recomendations on these pages. In all of his medical positions Dr Gerald Lewis has been a General Physician, maintaining his expertise and interest in most medical specialities. He is an invasive cardiologist and clinical pharmacologist. In his years working at the Centre for Advanced Medicine (CAM) he developed further expertise in the management of Cancer with conventional and complementary therapies. Dr Gerald is the author of many books and articles on high blood pressure, angina, heart disease, cancer, nutrition and supplements. 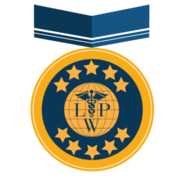 Dr Gerald Lewis is cited in both Who's Who in the World, and Who's Who in Medicine, for his discovery of the use of calcium channel blocker drugs in the treatment of high blood pressure (Lewis et al 1978). He is also cited in Leading Physicians of the World for his work. Dr Gerald has worked in public and private medical hospitals in the UK, Christchurch, Napier, Wellington and Auckland (NZ). He also headed the medical team at Salus Health (CT cardiac scanning for calcium), The Centre For Advanced Medicine (intravenous Vitamin C and chelation therapy) and Primary Heart Care (EECP therapy).Dr Gerald served on the NZ National Heart Foundation Scientific Committee, Advisory committee to the NZ Government on the introduction of new drugs (PTAC), Secretary in the NZ Cardiac Society, Editorial board to Addis press, and a lecturer for the Otago Medical School. Dr Gerald was elected as a Fellow in both the Australasian and UK Colleges of Physicians , after completing his postgraduate training in Coventry (UK), at Hammersmith and St Thomas' Hospitals (London). He graduated MB ChB from the Otago Medical School (1967), and was awarded his MD (1977) on the topic of "Changes in Myocardial Function following open heart surgery"
Dr Gerald is married with three grown daughters, and four grandchildren. He was born in India during the war and lived there till the age of 4, before the family returned to NZ. Currently he lives in Taupo on his rural property, and runs a private medical consulting practice, both in person and latterly online, so that he can provide services to people who would otherwise not be able to access a physician or quality second medical opinions. He enjoys reading, walking, cycling the New Zealand cycle ways, fishing, golf, and appreciating the sheer beauty of nature.